In early November, Cavalcanti, Sion e Salles Advogados opened its doors in São Paulo. 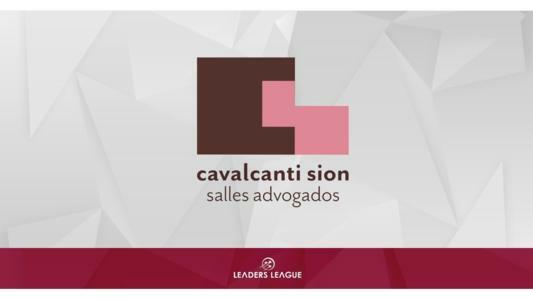 In early November 2018, Cavalcanti, Sion e Salles Advogados was launched as one of the newest firms specialized in criminal law. The firm is a result of a long-standing relationship between Dora Cavalcanti Cordani, Paula Sion de Souza Naves and Bruno Salles Pereira Ribeiro who decided to join forces to create a more complete criminal firm. Each of the founding partners are renowned for their experience counselling both individuals and organizations from a wide range of sectors. When Dora Cavalcanti Cordani and Augusto de Arruda Botelho, former partners of Cavalcanti, Arruda Botelho Advogados decided to go separate ways, Ms. Cavalcanti envisaged the opportunity to join forces with Paula Sion Salles Ribeiro Advogados. The synergy between the new founding partners has always been present throughout their separate professional careers, making the merger all the more attractive. The new firm is equipped with a unique team of white-collar crime practitioners and, in November, moved to new premises especially designed to foster a collaborative culture. Cavalcanti, Sion e Salles Advogados is also actively involved in pro bono activities and partners have active roles in the Brazil chapter of the Innocence Project as well The Institute of Defense for the Right to Defense (IDDD). Dora Cavalcanti is a leading criminal lawyer in Brazil. For the past 25 years she has been highly sought after for complex criminal litigation. Her track record covers not only white-collar and money laundering cases, but also corruption scandals, murder trials and every other section of the criminal spectrum. Among her clients are some of the most important construction companies, investment banks and businesses in the country. Dora dedicates a significant part of her time to pro bono activities. She is President of the Board at IDDD, an NGO focused on promoting access to justice and strengthening the right to a thorough defense in Brazil, which she helped to create in 2000. Currently, she serves as the founding director of the Innocence Project Brasil, which is committed to exonerating wrongly convicted individuals and reforming the Brazilian criminal justice system. Paula Sion has been practicing criminal law since 1999 when she opened her first firm, soon after graduation. She represents several corporations in myriad criminal matters, such as corporate and bankruptcy crime, money laundering and private investigations among others. She was recently involved in the negotiation of the largest plea bargain agreement ever signed in Brazil. Ms Sion is also a member of the board at the Innocence Project Brasil and has worked for many years as director of fundraising at IDDD. Bruno Salles Ribeiro has built up extensive experience in corporate criminal law by working within renowned white-collar crime firms. Having worked on some of the most important criminal cases of the 2000s, Mr. Ribeiro became the coordinator of the criminal law, compliance and private investigation department at a full-service firm, where he remained until 2015. Combining practical experience with academic knowledge, Bruno stands out for his role in cases involving money laundering and corruption, financial crimes, environmental crimes and tax crimes, amongst others. He has recently advised key clients in collaboration and leniency agreements, in Brazil and abroad. Mr. Ribeiro also coordinates an award-winning social project launched by IDDD in which volunteers teach law to prison inmates.